These fashionable but restrained cream silk brocade shoes, with earth-tone, stylized flowers on a patterned ground, were made by a London family of cordwainers. The Hose family shop was located on Lombard Street "at the boot." Several generations of the Hose family practiced skilled shoemaking and their shoes are some of the more elegant ones seen in North American collections. The upper features an attractive floral silk in browns and greens on off white with green binding and oval toe. A well-proportioned 2.5 inch Louis heel and period buckles (owned by Prudence Jenkins for her wedding in 1778) complete this tasteful ensemble. 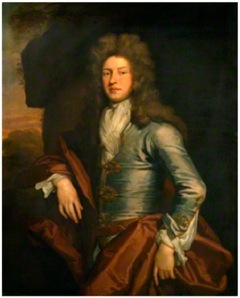 This post is a work in progress as recent correspondence with Hose family descendants and information supplied by the Cordwainers archives is adding exciting new detail and dimension. The author is indebted to Colin Michael Hose, Linda Pardoe and Judith Millidge, of the Worshipful Company of Cordwainers, for sharing their research and perspectives. The Historic New England catalog information for the shoes notes: Many eighteenth-century shoes are called buckle shoes because a removable metal buckle was used to fasten the straps along the top. The high heel, round toe, angled side seams, and exuberant floral pattern of this buckle shoe are characteristic of shoes made in the third quarter of the eighteenth century. In eighteenth-century Boston, Massachusetts, as in Philadelphia, PA, Newport, RI and Portsmouth, NH, the latest London fashions were readily available to those who could afford them. These brocade shoes were made in the section of London called Cheapside, known for its textile merchants and shoemakers. Like most shoes of the period, they have no right or left but were made to be interchangeable. The long tabs were intended to be fastened by buckles, which were worn like jewelry and could be transferred from one pair of shoes to another. Buckles could be set with diamonds for the wealthiest wearers, or, like these, made of paste. The shoe buckles themselves were worn by Prudence Jenkins (b. 1759) at her 1778 wedding to Dr. John Chace in Providence RI. Historic New England also has fragments of Prudence’s brocaded silk wedding dress, which, according to tradition, was purchased in London for a guinea a yard as well as one of her high heeled wedding shoes covered in a green and purple floral brocade. These related objects illustrate that eighteenth century brides either wore their best dress or had wedding clothes specially made for the occasion and did not universally wear white, which was considered a more appropriate color for mourning. For additional examples of work by the Hose family, see collections at Historic Deerfield (left) and the Charleston Museum, discussed in previous posts. 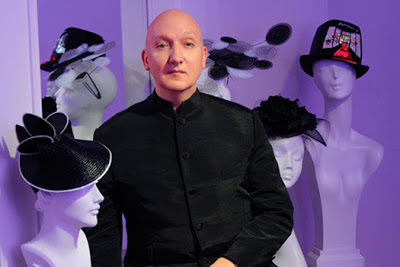 A hat makes clothing identifiable, dramatic--and, most importantly, Fashion...they confer a sense of presence and poise to the wearer that, in my mind, cannot be achieved through clothing or other accessories. The photos throughout this post are perfect illustrations of the transformative nature which hats bring to the wearer, so deftly described by Mr. Jones. Among my favorite images (left), following a November fashion show, the milliner is flanked by Peabody Essex Museum staff members who were the models. "Presence and poise" (and just sheer glee) was in abundance and transmitted to an appreciative audience. If you are still looking for a special gift, you may want to visit the "hat boutique" at Peabody Essex Museum shop, where you will find something special in all price ranges. 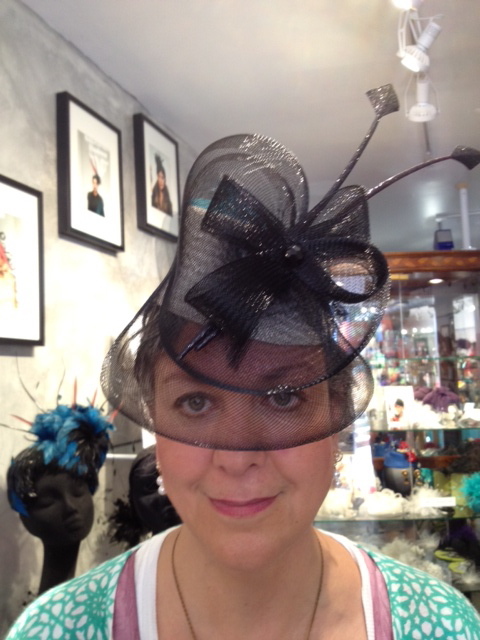 Do hurry as a number of milliners work has already sold out! Thank you to Stephen Jones, Oriole Cullen, Curator, Victoria & Albert Museum, Lynda Hartigan, PEM Chief Curator, Juilette Fritsch, PEM Director of Education, Paula Richter, PEM Curator of Exhibitions, Lynne Francis-Lunn, PEM Director of Merchandising and the many friends, colleagues and staff of the Peabody Essex Museum, for creating a magical season of hats. This is the tale of a plunge. Two weeks ago a friend in the building trades told me that one of the local lumber companies was closing. Not so odd given today’s economic climate, but it was one of the last lumberyards in this area that was also a lumber mill. I used some of their true 2x4’s in work on our circa 1914 house, no need to thicken to modern 2x4’s, these were the real thing with their furred edges. The same day I heard this I read that the Dalgliesh Tartan Mills, www.dcdalgliesh.co.uk, in Selkirk, Scotland had almost finished their last run in 2011. The tartan mill was saved, at least for the time being, but the lumber mill was not. This is a fashion blog about the old and new so herein hangs the tale. Learning of the loss of the lumber mill, I ordered 6 yards of tartan to be woven in a slight variation of the Ancient Campbell tartan and a kilt will be made from this weaving. D.C. Dalgliesh Mills will receive the order some time this autumn and if all goes well the run will be finished in early winter. Matthew Newsome, www.NewHouseHighland.com, of North Carolina will tailor the kilt in the knife pleat style and it should be finished sometime in the spring. I’m a Yank so the idea of a kilt is in itself questionable and will be met with some derision, so be it. I’ve thought about this for a while, but it wasn’t until the lumber mill closed that I realized how dependent we are all on use. We need to use materials such as lumber or cloth in order for them to exist—no demand, no goods, no market. I’m not sure how I am paying for this, but it will happen. I chose a kilt because for the first time in years I need evening attire. Recently I became a member of our local Athenaeum and there is a formal gathering during the Christmas season. It’s been awhile since I had a tux and even longer for a set of tails, but I thought why should I settle for either of those when a kilt can be worn. I have enough Scottish ancestors to at least make the pretense of this move, on top of which when asked, my wife and other women I know all said there was something about a man in a kilt—we’ll leave it at that. However, it’s more than that. 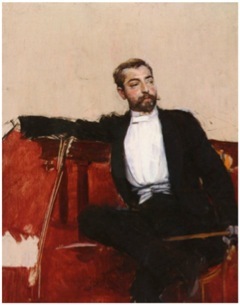 If I need to dress for the evening, why am I still dressing as my great-great-grandfather would have done? I understand the kilt has the same limitations, it duplicates a nearly two hundred year old tradition, but it isn’t as pervasive as the black evening attire of the past two hundred years in American-European circles. I cannot image a man of 1890 wearing the evening attire of a man of 1690, yet somehow we are there. Fashion comes and goes, no news there, and the materials that make fashion possible are just as fleeting. The other reason for the kilt was the tradition of weaving. The Black Watch and Stewart tartans will live on in shirts, skirts, jackets, coats, dresses, and all manner of products until we tire of pattern, but the lesser known tartans or plaids only live as long as people use them. Most cloth and patterns may be timeless, but they are not perpetual—no use, no need. All right, the Campbell tartan isn’t going away, its other incarnation is Black Watch, but the desire to commission a one-off was still strong. 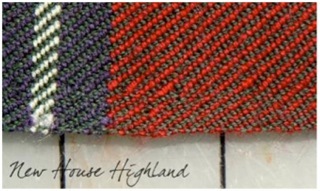 My tartan will be woven on a 27-inch loom producing a woven selvedge on both sides, with the result of no hem. (My preference is for a kilt that is tailored to measure, not finished to measure.) The color choice will be a slight variation of the present ancient Campbell, so in this instance it will be a special weave. Will this one commission save a weaving house, not possible, but the idea that consumers of fashion should be responsible to the craft of the trade is possible. So there it is—the plunge, a special weave, a kilt and who knows what else—a floodgate may have opened. In the end, it’s in honor of my paternal grandmother whose great-great grandfather was born a Campbell in Edinburgh. She had a lust for life, obtained a degree just as women got the vote, didn’t drink until it was illegal, didn’t smoke until it was rationed, and received a Christmas card for years from her bookie. How could I not wear a kilt in honor of that woman? Now go out there and commission someone to create something for you. It will give future generations something to ponder. Guest blogger Jeff Hopper is the Project Director of Blue Tree Publishing House and holds an MA in Museum Studies from Harvard University (2012). This is the first in a series on men's wear and textiles.